NEW YORK CITY (WLS) -- Former first daughter Malia Obama was in New York this weekend and spotted with her new British boyfriend. 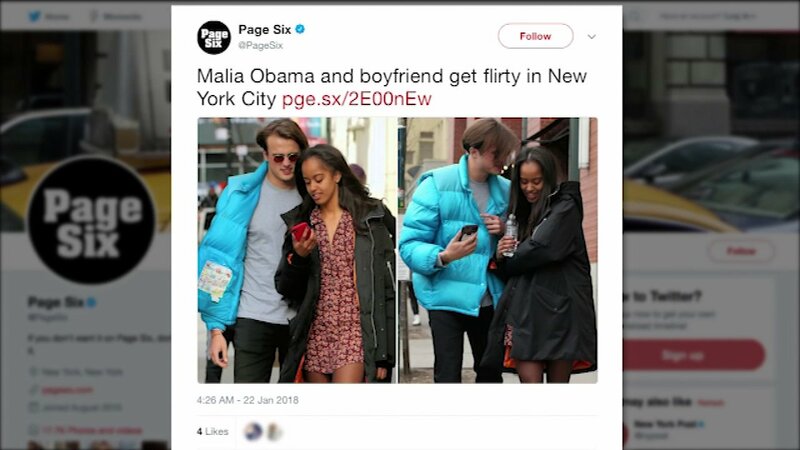 Page Six of the New York Post tweeted a pair of photos early Monday of the couple walking on the street with the text: "Malia Obama and boyfriend get flirty in New York City." Obama and Rory Farquharson were reportedly on a date in New York's Soho neighborhood. Both are 19 years old and freshmen at Harvard University. In November, they were seen kissing before a Harvard-Yale football game.